Whatever kind of writing you aspire to, there’s a website or blog out there to help you get there. Here are 6 of my recommendations. If you’re serious about blogging, want to grow your audience, and monetize, this website offers guidance, podcasts, extensive resources, and classes on every angle of professional blogging. 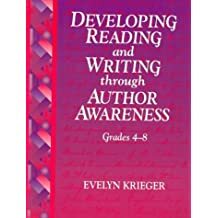 Great for serious life-long learners of writing craft. Do It Yourself MFA helps you “write with focus, read with purpose, and build community”–all essentials for growing as a writer. Offers articles, podcasts, resources, and classes. Want to get published? A host of contributors, best-selling authors, and industry professionals and a robust comment section all add up to a powerful guide to the business and craft of writing fiction. Feeling stuck or discouraged in your writing? Bryan Hutchinson’s Blog is devoted to “encourage, inspiring, and motivated” writers at all stages of the game. I’ve been a fan of Hope Clark’s website and newsletter for years. Hope is a full-time freelancer and novelist. Her vibrant site includes markets, competitions, awards, grants, publishers, agents, and jobs for your writing abilities at every stage of the game. Show me the money! “An ezine promoting communication between women writers, authors, editors, agents, and readers” offers articles, contests, a blog, online courses, and industry news. Although aimed at women writers, there is a great deal here for all to learn from. Enjoy their award-winning flash fiction and essays. Their blog, The Muffin, offers daily writing tips and inspiration. Here’s a short interview I did last month with WOW! after my essay, “The Geometry of Grief,” was a runner-up their recent contest. What are your favorite online writing resources? How Do You Write About Grief? We all experience grief and loss. Some of us more than others. There is no escaping its grip. The longer we live, the more we lose. In trying to comfort others, or share our grief experience, we get stuck in the sphere of emotion and physical sensation. How do we speak about grief? We turn to metaphor and imagery. A black hole. A sinking ship. A shredded heart. Time stands still. Grief eats like acid. Sometimes, grief can be described in the same way as love. For is there grief without love? I turn on the local Saturday evening news after 24 hours of being unplugged. Lead story is: “Cambridge woman killed Friday afternoon while biking in Boston.” A beloved, longtime Brookline librarian. Her photo flashes across the screen. That’s my old friend! That’s Paula. No, it can’t be. I met Paula Sharaga when my kids were young. She was the new children’s librarian our local library. I liked her quirkiness and warmth. Paula and I were both early childhood educators, active in the Jewish community, and, of course, book lovers. We had lots to talk about. Sharing our family Rosh Hashana dinner with Paula just after the tragedy of September 11 is a special memory. Later, Paula moved to Cambridge and took a job at the Brookline Public Library. This meant we didn’t see each other much. Our friendship, like many others, shifted to email and Facebook. And then, gradually, our contact lessened. Strangely, just a few weeks ago, I thought of Paula for some reason. I realized it had been a long time since we chatted. I made a mental note to reach out. Now Paula’s Facebook page is filled with expressions of sympathy, sadness, and memories. I’m awed by the outpouring of love. Scrolling through her page, I’m quickly updated with all she had been involved with the past years. Environmental activism. Politics, protests. Nature hikes. Cycling. I see that she married her long-time boyfriend. I read his words of shock and disbelief. Paula’s husband is now in the After. I know that place well. You are thrust into that place with a simple phone call. Now I pray that Paula’s husband is surrounded by love in the After. That the intense grief from losing his wife and her abrupt, tragic ending will not shadow the eventual light. I hope no one will say to him: “It was G-d’s will,” or “She’s in a better place,” or “Let me know if I can do anything.” (Just do something!) I hope no one will count the months or years of his grieving and tell him “it’s time to move on”. I leave you, dear readers, with my newest essay published by Women on Writing, which seems fitting at this moment—The Geometry of Grief. Silence hurts. Silence comforts. Silence teaches. Silence breathes. City dwellers, parents of young children crave silence like a drug. The loud silence of a newly empty nest screams through the hallway. Middle of the night silence wraps too tight around your wakeful soul. The painful sound of a lover’s long ambiguous silence never quiets. Silence stretches between two longing hearts, connecting them no matter how far. Sit in the silent space a loved one once occupied. Let it envelope you. Silence sometimes speaks louder than words. Silence stands in when there simply are no words. Silence feels heavy when it carries the weight of unspoken words. Silence whispers, I need you. Silence is golden when you hold a special secret. The silent treatment feels powerful yet treats no one. Silence vibrates at a frequency only our bodies perceive. I just spent the last month in a writer’s heaven. The Vermont Studio Center is the largest artist residency in the United States. Each month, 50 selected writers and visual artists from across the country and globe are offered unrestricted time for creative work. I got to be one of them! VSC provides private studios, room and board, conferencing with Visiting Artists, readings, craft talks, and presentation nights—all on its beautiful historic campus. The first week, I was pinching myself. Amazing things happen when you get the chance to step out of your everyday life and write in a calm environment designed to limit distractions and obligations. I learned a lot about myself as a writer. I tested my mental stamina. I had time to just sit with the mess of words and ideas and try to shape it into something coherent and interesting. I learned how long it can take to write one decent paragraph, only to delete it the next day. I had the time and space to immerse myself in a fictional world. Other times, anxiety-provoking…What if it’s no good? Am I wasting my time? My studio overlooking the river. I met with Visiting Writing, Noy Holland, to discuss my short story in the revision stage. I got to spend time with other kindred spirits talking about the artistic process, rejection, failure, inspiration, and epiphanies. We shared stories, laughter, and tears. Reading a new essay, “The Geometry of Grief”, at Presentation Night. Finding time to pursue your passion amidst the demands of your present life is likely your number one challenge…or complaint. But sometimes it serves as an excuse. Saying, “My dream is to write a novel, but I simply don’t have the time right now,” is likely untrue, although it may feel that way. While there are definitely periods in our lives when we feel especially stretched, finding time to write is possible if you make it so. I’ve been writing and publishing since my late teens. That means I’ve written through college, graduate school, teaching career, raising 3 kids, homeschooling, and helping elderly parents. There were times I was insanely busy, stressed out, or depressed. There were dry spells—sometimes long ones. There were also stretches of times conducive to creativity that resulted in publishable work. The first step to making time for writing is to scrutinize your daily/weekly schedule. Can you wake up earlier before work or getting the kids off to school? If early morning doesn’t don’t work for you, try writing in the evenings or late night hours. If you commute by public transportation, consider that time. Keep a notebook with you for ideas and brainstorming. Can you make time on the weekends? Look for time suckers you can give up (or cut back on): The biggest one is the Internet Blackhole. Scrolling Facebook, Instagram, and Twitter. Endless newsfeeds. YouTube pet videos. Binge watching TV. Really. This next step is key. Once you find the times when you can write, mark it on your calendar. That’s right: you’re making an appointment with your muse. Begin with 15-minute blocks. That’s not long enough, you say? Believe me, the minutes add up. Consistency, more than quantity, matters at this stage. The great thing about writing is that it’s portable. I write in my home office, on the family room couch, in libraries and coffee shops. I’ve written in airports and on long bus rides. The place depends on my mood, what I’m writing, time of day, and schedule. Having a designated place to write, however, can help you build the habit. By associating a specific place for writing, your train your brain to switch into writing mode. Doesn’t matter if your place is a closet, office, or shed. Claim your space. Make it look and feel nice. Sunny corner table of library = novel writing. Again, the exercise analogy. If you just say, “I’m going to get in great shape”, you’ll likely to give up before you run the first race. You must make a plan with incremental milestones along the way. Once you’ve made time to write, limiting distraction is the key to producing. A writing retreat can be a great way to jumpstart, revive, or finish a project. Some writers occasionally cloister themselves in a hotel room for a few days to binge write. I know two women who designed their own retreat by renting a cabin in New Hampshire. Poets & Writers Magazine has several classifieds ads for rentals in beautiful settings that cater to writers. If you think you’re the right point in your life or career to pursue a writing residency, here’s a has a comprehensive listing. How do you make time for writing or other creative pursuits? Pirouettes and Parachutes: Facing Your Fears From The Ground Up. Write a memoir and not worry about what my family thinks. Quit my job and find a better one. Ask him out on a date. Learn ballroom dancing at age 65. Overcome fear of water and scuba dive the Barrier Reef. Be more adventurous outside my comfort zone. Dial up my appetite for taking risks to say things that might upset others. Good point. But fear and caution are not the same. And here’s a response from a middle-aged man that touched me most. Fear can hold us back from achieving our goals, realizing our potential, and trying new things. We know this in our hearts but have trouble moving past it. Fear of getting emotionally hurt. Writers are no strangers to fear. Do I really have any talent? Will anyone care what I have to say? What if my writing is crap? What if I lose my creative spark? What if my book never gets published? Name your writing fear. Say hello. Shake hands. Then wrestle it to the ground. You’ll probably have to do this on most days. Know that wherever you are in your creative journey, you have plenty of company. Face the fear and write anyway. Here’s one of my answers. Ride on a space shuttle. Since childhood, I’ve been fascinated by people who do bold, physically demanding activities. Motorcycle stunt riders, platform divers, tightrope walkers. My mother tells me that while watching the Ringling Bros. circus I was drawn to the woman being shot out of a giant cannon. Astronauts were my heroes. Lest you think, I was a kid daredevil—not a chance. The scariest thing I did was ride a bicycle down a hill while sitting backward. Oh, here’s where I should mention my fear of heights. While I loved amusement park rides that spun me around, fear of heights kept me from the Ferris Wheel and giant roller coaster. Me, age 11, on the high dive in Miami. Never jumped. Just wanted to impress my friends. Yet, I still wanted to be that girl who could blast into space. Along with dreams of becoming a teacher, writer, and dancer, I harbored a secret desire to ride in a rocket ship one day. Then, in my early twenties, I developed an extreme fear of flying. So much for going to the moon. Enter my fearless friend George who thrived on physical risk-taking. George tried to get me to go skydiving with him. He showed me videos of his fantastic jumps. He broke down the mechanics, safety features, let me examine the parachute. He promised to hold on to me. I enjoyed this vicarious adventure but knew I’d never jump out of an airplane. Performing a grand jete in ballet class would have to remain my “airborne” thrill. In June 2017, Alex Hunnold, 31, became the first person to scale El Capitan in Yosemite–a 3,000-ft monstrous granite wall…without using ropes or other safety gear. Only his hands and feet. Alex’s incredible historic event is documented in a new National Geographic Film, Free Solo. Just watching a clip gave me vertigo. In this crazy sport, there is no room for error. A mistake means death. Most of us will never have what it takes to climb a rocky ledge or become an astronaut. Most of us probably wouldn’t even want to. What draws me to these fantastical feats is the question of how he or she overcame the Fear Factor. Through years of intense training, Alex developed an astonishingly strong mental ability to control fear. So much so that neuroscientists are studying his brain. In an MRA scan experiment, Dr. Jane Joseph reported zero activation in Alex’s amygdala–the “fear center” of the brain. There are lessons for us normal folks on the ground. Courage doesn’t mean fearlessness. Courage is facing your fear and doing it anyway. Courage is a muscle. I’m happy to report that I’ve worked through some of my long-time fears. Though I’ll never be a comfortable flyer, I still board the plane, anyway. I practice relaxation techniques. I focus on where I’m traveling to and who I’ll get to see. The fear is no longer in charge. I can now drive across major bridges without getting panicky. But don’t ask me to go caving or enter a submarine! The kind of risks I’m comfortable taking are mostly in the emotional realm. Relationships. New experiences. Adventures…as long as they take place on the ground. Writing fiction gives you a chance to live other lives. The main character in my new story is an 11-year-old girl who plans to ride every roller coaster in the world and grow up to be an astronaut. Sometimes when I feel discouraged by the limitations my fears bring, I remember the prolific writer Ray Bradbury, whose science fiction stories launched his readers into outer space. In real life, Mr. Bradbury was terrified to get on a plane. What would you do if you weren’t afraid? Have you faced a fear? I have a new short story publication to share. “Her Last Dance” appeared in the August issue of Gemini Magazine. It’s scary sending your work out in the world. First, there’s the inevitable rejection that’s simply part of the submission process. Happens to all writers, no matter how experienced or well-published. Keep revising and submitting. Get critiques. Don’t give up. Even when your story, essay, article (or book) finds a home, you may wonder how it will be received. This can be particularly concerning when publishing personal essays or opinion pieces. So far, the response to “Her Last Dance” has been positive. Gemini Editor David Bright said he and the judges were very moved by my story. One reader commented on its “chilling ending”. Another told me I had “nailed the teenage voice”. The narrator’s voice came easily to me. I knew the POV had to be through the girl’s eyes. I wanted the reader to empathize with the teen’s experience but also know more than she does. Through the use of subtext, the reader can see what the girl cannot, what is truly going on. The ending is what gave me trouble. Once I employed the advice: a good ending should be surprising yet inevitable, I felt satisfied with my choice. (See blog post on story endings). Mom is in our hotel bathroom fixing herself up. I smell her apricot perfume from outside the door. I’m supposed to get fixed up, too. No idea why Mom uses that expression, I mean, it’s not like we’re broken or anything. I bend over, let my dark hair fall forward, start brushing to make it fluffy like in those shampoo commercials. I check myself in the mirror, dab on bubblegum lip gloss, and a smudge of cherry blush. “You look pretty, Mom. Really.” And she does. “How come you don’t get dressed up at home?” I ask. I try to picture my father dancing. Instead, I see him in his wheelchair spinning around the floor. He’s the one who needs fixing up. I don’t like to think about Dad home alone with just boring old Carol to dress him and tie his shoes. Mom says there’s no reason to feel guilty–this is our “well-deserved” vacation. Maybe she’s right. So far we’ve had a decent time visiting Chicago, but I am not sure I like the idea of meeting Malcolm. Click here to continue reading “Her Last Dance”. In the Beginning: Where and How to Start Your Story. In last month’s post, I explored the essentials of a satisfying story ending—“surprising yet inevitable”. The opening of a story, however, is not inevitable, though it can be surprising. Just like on a new date or job interview, the writer has one chance to make a good first impression. Whether it’s an essay, short story, memoir, or novel—the opening sentence, paragraph, and page is the first impression. A strong beginning can seduce the reader. A long-winded or boring opening can have the opposite effect. The reader (or editor/agent) loses interest. There will be no second date. Let’s look at ways to help you get your story off to the best start. This simple opening sparks several questions. Who is Lydia? How did she die? Who are they and why don’t they know? Whose point-of-view are we in? The entire novel unfolds from these two sentences. Here’s another example from Waiting (1999) by Ha Jin that evokes surprise. Begin as close to the inciting incident as possible. The inciting incident is the event which turns your protagonist’s life upside down in either a good or bad way. The inciting incident launches your character into the main conflict of the story. It’s the engine of your story that sets events in motion building to the climax. Let’s say your story is about a woman who wins the lottery but doesn’t want to tell her husband about this sudden windfall. The inciting incident would be when the woman realizes she has the winning ticket. Instead of starting the story with her marital history, or her love of gambling, you might start at the moment when she realizes she’s finally hit the jackpot. This is the tactic I took in my published short story, “The Ticket”. There were only six numbers to check, but, just to be sure, Dolores put on her reading glasses. On the kitchen table, the newspaper was opened to the all-important page. Dolores lined up her ticket with the newspaper numbers, and compared them with such deliberation that one would have thought she was half-blind. Dolores read the numbers aloud, slowly, succinctly, like she did when calling for Bingo. “9…14…21…24…26…30. The opening of Gabriel Garcia Marquez’s novel One Hundred Years of Solitude makes quite a first impression. It includes hints of two inciting incidents. Begin with the End in Mind means to begin each day, task, or project with a clear vision of your desired direction and destination, and then continue by flexing your proactive muscles to make things happen. When writing fiction, the opening is your where you plant the seeds for your plot to grow. Knowing your destination can help you build a strong beginning. The meaning behind Harper Lee’s understated opening in To Kill A Mockingbird is not realized until the climax of the book. The author masterfully weaves the end into the beginning. When he was nearly thirteen, my brother Jem got his arm badly broken at the elbow. When it healed, and Jem’s fears of never being able to play football were assuaged, he was seldom self-conscious about his injury…When enough years had gone by to enable us to look back on them, we sometimes discussed the events leading to his accident. To emphasize this expert plotting device when teaching the novel, I have my students reread the opening after they finish the last chapter. They are always amazed by the cyclical structure of this classic novel. Try to establish a distinct voice or tone, especially if you are using first-person point-of-view. Charles Dickens does it matter-of-factly in David Copperfield by confiding to the reader. 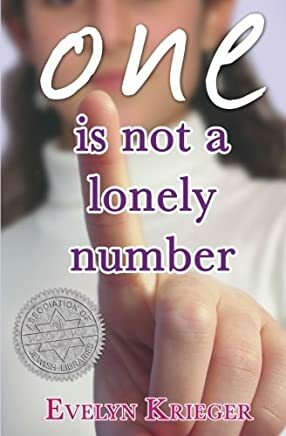 My YA novel, One Is Not A Lonely Number, opens with a statement from the 13-year-old narrator, Talia. Eight is my favorite number. I think it’s a beautiful number; it has two-way symmetry, it’s an even number, it’s in my birth date (September 18th) and it’s the color of a blue sky. More examples of openings with a unique voice or tone. A common mistake in first pages is including too much backstory. Backstory is exposition as opposed to action. It’s info that the reader needs to know which happened prior to the story. Don’t overload your reader with background details that could easily be put in later on (or not at all). Use exposition only at the point in the story when the reader absolutely needs the information. Otherwise, every line in the opening should move the plot forward. It’s helpful to get reader/editorial feedback on your story draft. You may find out that your opening really happens on Page 3…or 10, as I did with my first novel and a recent one in progress. All these examples immediately make me want to find out more about the character. 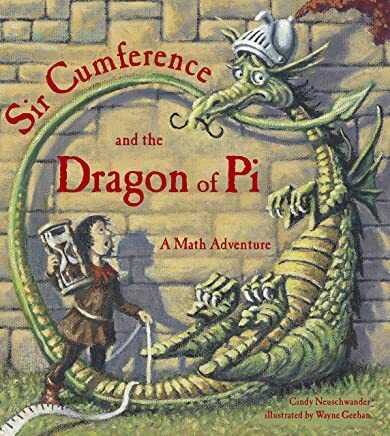 “There was once a boy called Eustace Clarence Scrubb and he almost deserved it.” C.S. Lewis, The Voyage of the Dawn Treader. While an intriguing first line may hook the reader, you still need to sustain attention. So consider this checklist for your first page. You can learn a lot from studying the masters. Pick an anthology of stories and read just the first paragraph of each one. Which stories pull you in? Poets & Writers Magazine just published noteworthy beginnings from 12 hot-off-the-press books. “Not every thirteen-year-old girl is accused of murder, brought to trial, and found guilty. But I was such a girl and my story is worth relating even if it did happen years ago. ” The True Confessions of Charlotte Doyle by Avi. What’s your favorite opening line? Why is it we can forgive a book’s slow start, a meandering middle, but not a bad ending? Some endings leave you feeling cheated. Or disappointed. Or plain confused. You’ve invested your time, money, and heart and you want a payoff at the end. Endings matter to readers and movie-goers. A lot. The highly ambiguous ending to the 2014 movie Birdman ignited an intense online debate about what actually happened. Some loved the ending, others hated it. For years after publishing Gone with the Wind, author Margaret Mitchell was deluged with reader requests for a sequel. Mitchell adamantly refused, saying she purposely left the ending ambiguous because she had no idea whether or not Scarlet and Rhett would be reunited. So what makes a bad ending? I asked my friends and family. Their answers aligned with the advice you’d get in a basic writing workshop. There’s a great scene in the movie The Silver Lining Playbook when the main character Pat, upon finishing Hemingway’s A Farewell to Arms, throws the book out the window. Pat then wakes his sleeping parents and launches into a rant over the love story’s bleak ending. Turns out, Hemingway considered at least 40 possible endings to the classic 1928 novel. If your curious, a 2012 Library Edition exists containing these alternative endings. So, let’s say you’re feeling sad and regretful about letting a lover go. Perhaps you can take comfort in the idea that somewhere out there your replica is enjoying life with this missed love. In the 1980s and 90s, the widely popular children series, Choose Your Own Adventure, allowed readers to assume the role of the protagonist. Every few pages, the reader gets to make choices that determine the outcome. The fun part is getting the chance to explore several possible endings. Each book’s introduction affirms the power the reader holds. “There are dangers, choices, adventures, and consequences…but don’t despair at anytime YOU can go back and alter the path of your story, and change its results. If only real life were like that. How do writers craft the perfect ending to their story? Some decide on the ending at the very beginning and fill in the rest. Others follow a detailed outline which builds to a specified ending. Others writers like to journey with their characters and allow the ending to unfold. The process becomes an exciting discovery. Best-selling thriller writers Lee Child and Lisa Scottoline described this process in a recent NYT podcast. After getting a feel for the tone of the book, Lee Child just sits down to write and sees what happens. Lisa Scottoline knows only the beginning when she starts writing a novel. As she reaches each new point, Lisa asks herself, “Okay, now what?” The prolific author says this process mirrors life. I rarely know the ending of a story before I write. Even if I have a sense of the story’s conclusion, I often change my mind or consider alternatives. In my novel, One Is Not A Lonely Number, one of the characters reveals a secret toward the end. I didn’t even know what it was until I got there. In my new short story, “When We Were Bad”, I knew one of the characters would end up in the wrong place at the right time but wasn’t sure if she’d get out alive. Making that decision ultimately changed the final paragraph which I rewrote several times. But even when you decide on the ending of your story, how do you know it works? I love this quote and have experienced the feeling myself. The answers my friends gave me regarding a good ending were more about emotion–how a story ending left them feeling. The most common answer was satisfied. Hmm. Makes me think of a good meal. What is satisfying to one reader may cause another to toss the book out the window. So how does a writer choose? A while back, I came across an answer. A good ending to a plot must be both inevitable yet surprising. I’ve been pondering this paradoxical advice since ever since. Amazing! Not what I expected, but exactly what I expected. Try putting your favorite books and movies to this test. Few endings, in fiction or life, are perfect. Story endings can leave us sad and still be a good ending. Or, perhaps, the right ending. What are your favorite or worst book/movie endings? If you’re a writer, do you plan the ending ahead of time?